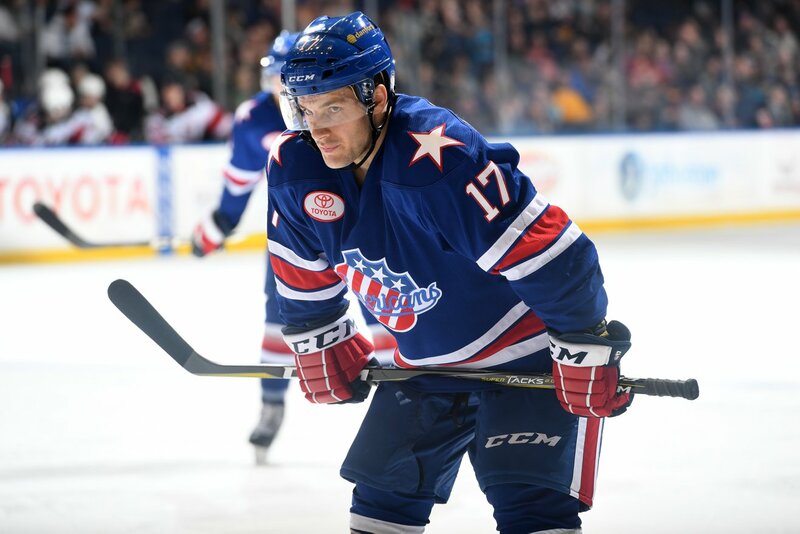 Justin Danforth Signs with Rauman Lukko in Finland · Let's Go Amerks! Justin Danforth will not be returning to the organization next season, he has signed with Rauman Lukko in Finland. Danforth was named the 2017/2018 ECHL Rookie of the Year playing with the Cincinnati Cyclones. Danforth played five games on an amateur tryout contract with the Rochester Americans at the end of the 2016/2017 season and impressed the Sabres staff enough that he was signed to a one year AHL contract. As a depth player he spent majority of his season in Cincinnati where he earned Rookie of the Year honors with 59 points (28G+31A) in 44 games. In 15 games with the Amerks he had 5 points (2G+3A). He also missed 12 games due to a lower body injury. If he had stayed with the organization he likely would have been battling for an AHL roster spot again. Continued success overseas and Danforth will likely be back in North American again in future seasons.